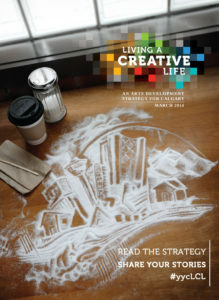 For Cochrane-based artist Michelle Wiebe, if making things is built into a habit, it is easy to live life creatively. 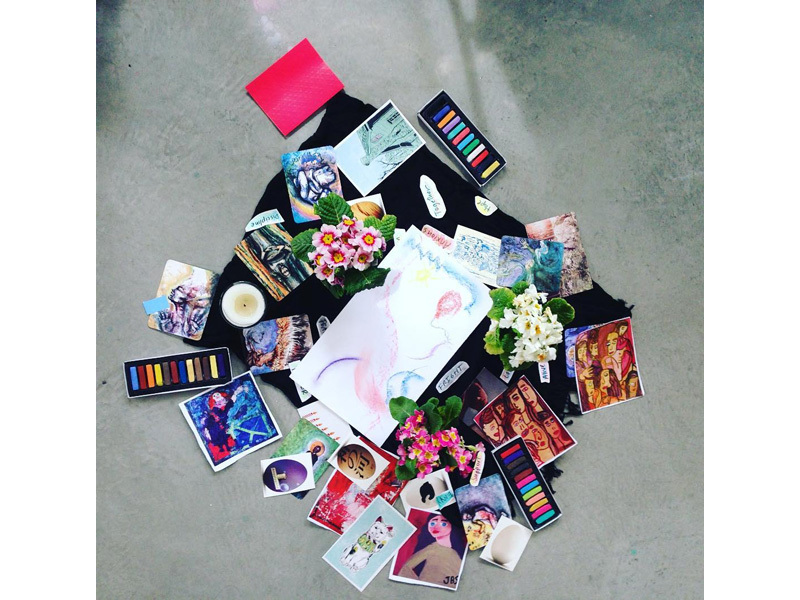 After all, she’s a maker at heart. 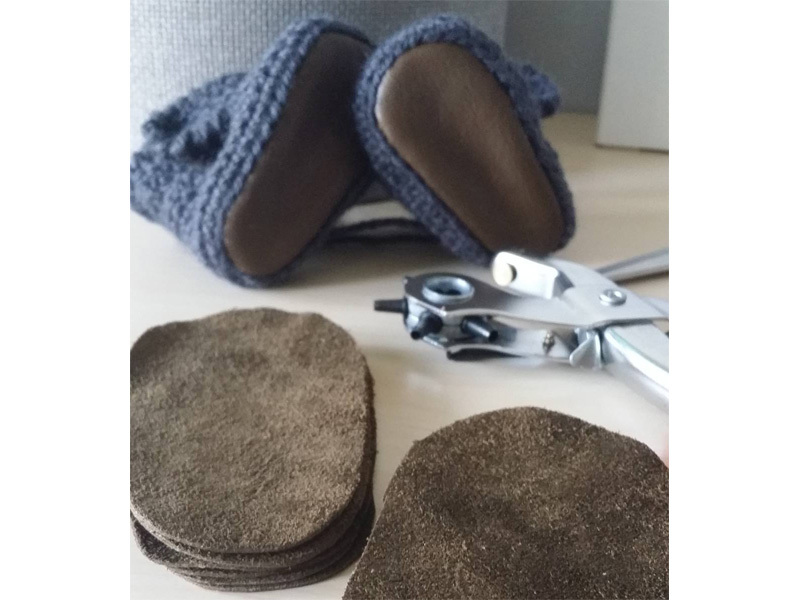 Wendi Ryan of Harmony Grace Designs shared this shot of her preparing leather sole booties for the upcoming Etsy: Made in Canada show. 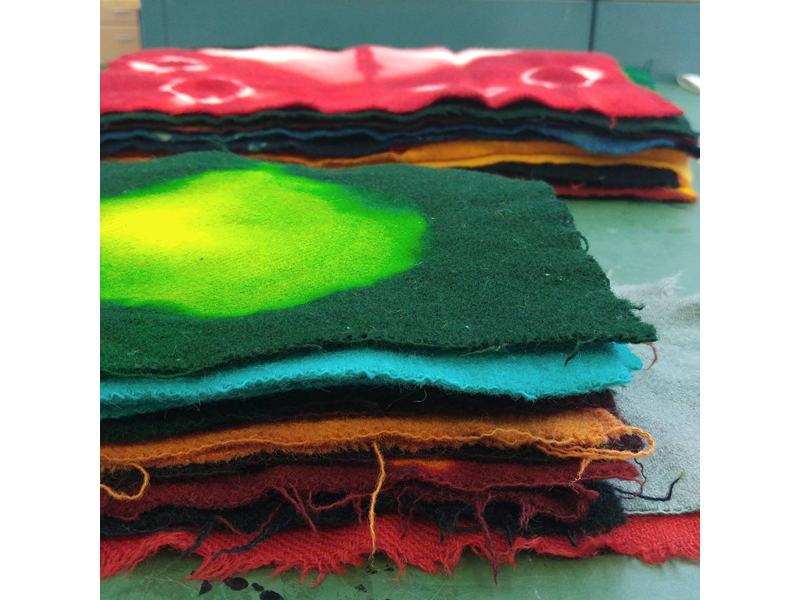 Textile artist Donna Clement used a resist-clamp Shibori technique to create layers of colour with complex designs. 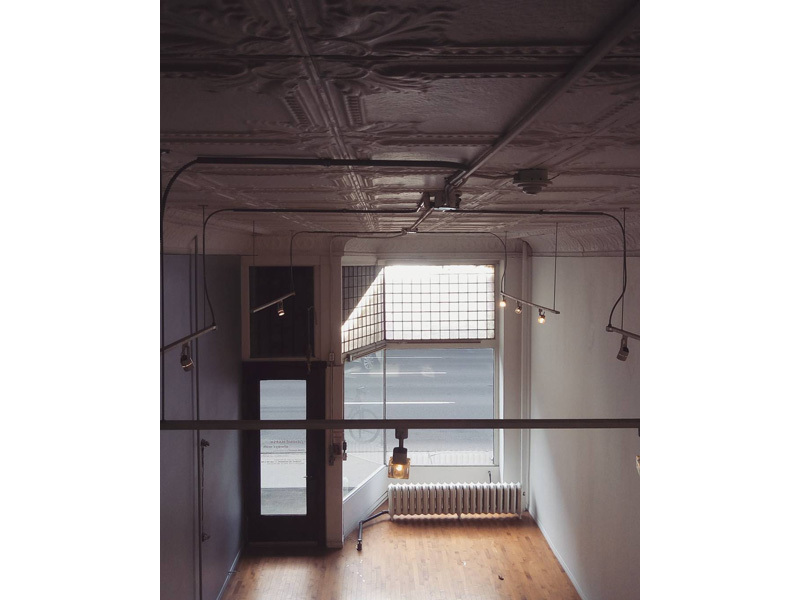 Multidisciplinary artist Alicia JB McKenzie shared this stunning shot of Calgary’s Stride Gallery where she is currently interning as its Cultural Equity Liaison. 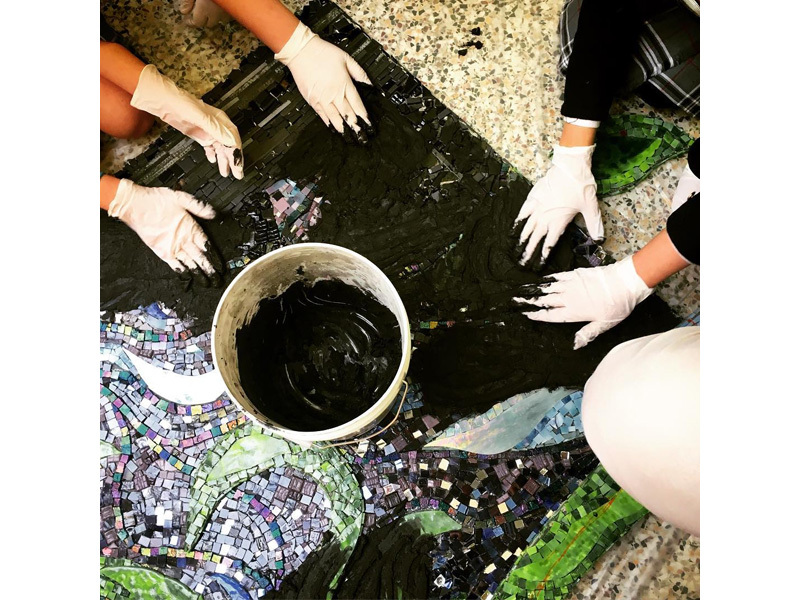 Michelena Bamford shared this fun, collaborative, and messy photo—an example of just one of the ways she lives a creative life. 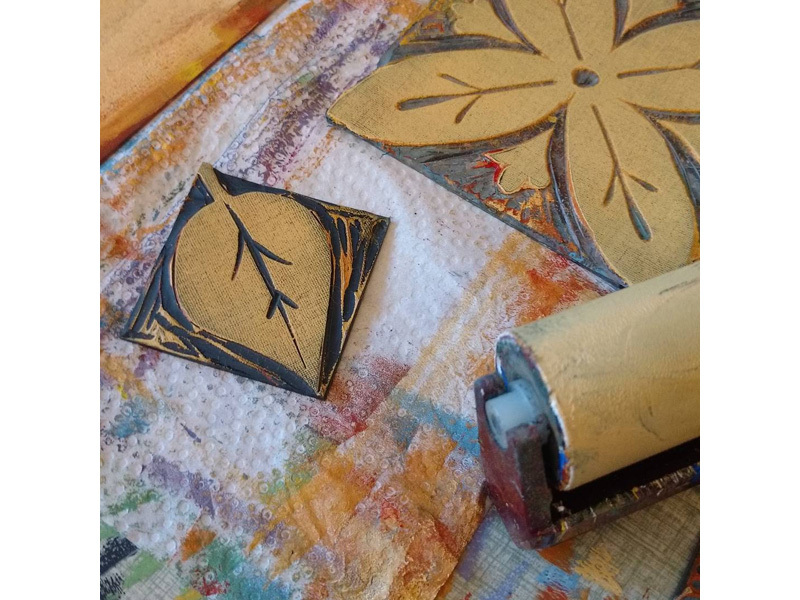 Rachel Rose is a creator and educator using the expressive arts and other contemplative practices for healing and social justice. 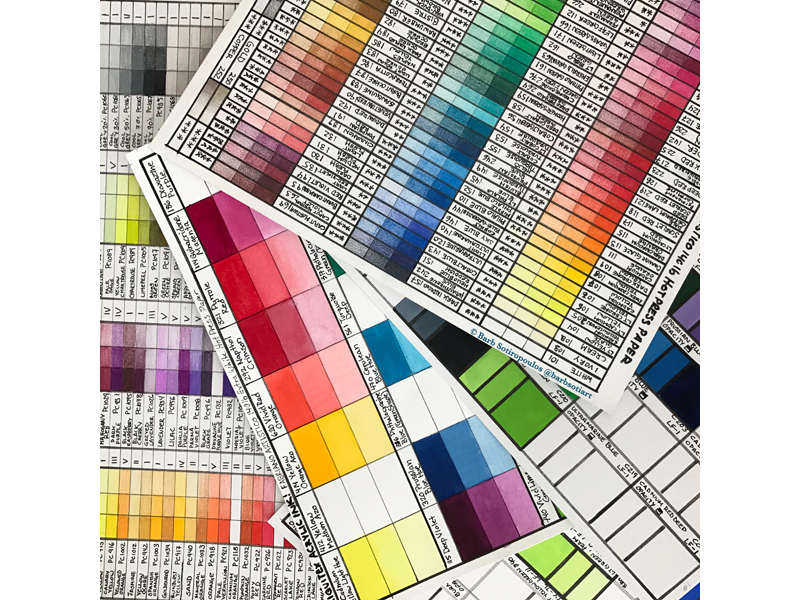 Graphic designer Barb Sotiropoulos creates beautiful colour charts to help eliminate the guess work when using her preferred medium—coloured pencil. 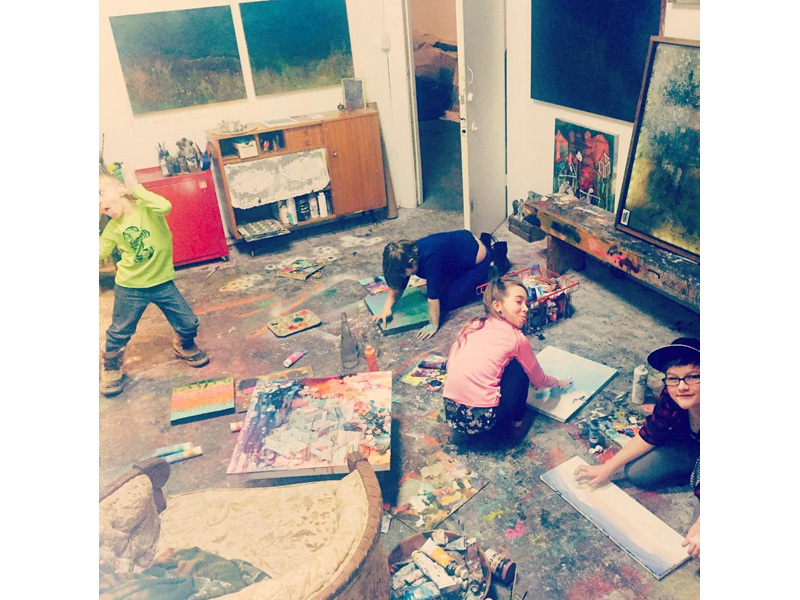 After school playdates occasionally happen in Desere Pressey’s studio allowing her children a chance to splatter, pour, and play while she works. 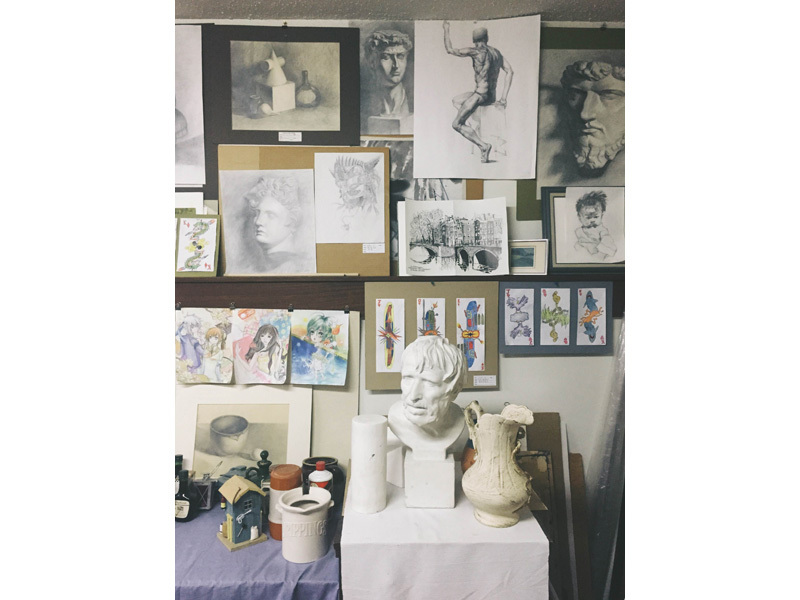 Painter and art teacher Dillon Huang gives us a peek into his studio—a space that reflects 30 years of living a creative life.